The Birmingham Organising Committee has decided to exclude shooting from the 2022 Commonwealth Games. Dropping shooting from 2022 Commonwealth Games will be a huge setback for India, especially for its young shooters. Shooting is an optional sport and the Birmingham organisers said that they don't have the facilities to host shooting events. If Durban (South Africa) was to host the 2022 CWG, shooting would have been there. Durban was to originally host the 2022 CWG but it later expressed its inability to host the Games due to financial problems. The Commonwealth Games Federation later awarded the 2022 CWG to Birmingham. Shooting, though an optional sport at the CWG, has been played in every edition since Kingston 1966, except once in Edinburgh in 1970. In the recently held CWG 2018, India’s shooting squad bagged as many as 16 medals, 7 of which were Gold. India won the highest number of medals in shooting in the Gold Coast Games 2018. 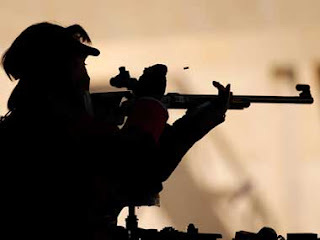 National Rifle Association of India (NRAI) President Raninder Singh had expressed his grievance saying that India should boycott the 2022 CWG if shooting was not reinstated. He mentioned that he would write to the Union Sports Minister Rajyavardhan Singh Rathore and the Indian Olympic Association (IOA) and will urge them to boycott the 2022 CWG if shooting is not re-included in the Games. It is left upon the discretion of the host country to decide if they want to include shooting in the roster. The organisers of Birmingham Games have decided against including shooting but India are strongly opposing the decision. The 2022 Commonwealth Games, officially known as the XXII Commonwealth Games or Birmingham 2022 is scheduled to be held in Birmingham, England. The Games are expected to take place between 27 July and 7 August 2022. 73 commonwealth nations with approximately 5000 athletes would be participating in the event. It will be the third time that England would be hosting the CWG.